For some of us, a scratch or squeak in the night may be the stuff nightmares are made of. 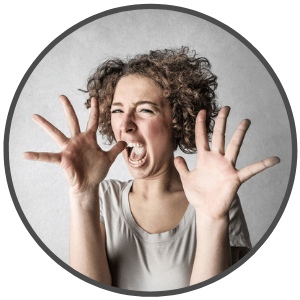 A little critter scurrying across the kitchen floor may be enough to make us jump on the table, letting out a scream worthy of waking the entire block. Some others may find these furry little critters cute and even sometimes choose to keep them as pets! Regardless of where you fall on the “cute vs ick” scale, most people can agree that wild mice are best left to the wild, not in our homes. But to a mouse, your house may look like the perfect refuge from the elements outside. When faced with a mouse infestation, addressing the issue at first indication of this pests presence is paramount. The quicker you eradicate the first invaders, the easier it will be to keep the problem at bay and prevent breeding and multiplication. If you want to learn all about getting rid of mice then keep reading through our detailed guide below or you can click here to jump to our recommended best mouse traps section! Mice are one of the most prevalent household pests in the United States, from the humble Mus Musculus (common House Mouse) to the acrobatic roof/ship rat. Once faced with an infestation, due to their rapid breeding cycles and superb ability to sneak through the tiniest of spaces, they can be a difficult pest to eliminate. It’s important to familiarize yourself with the common signs of rodents taking up residence in your home. The quicker you can identify the problem, the faster you can act, increasing your chances of success exponentially. 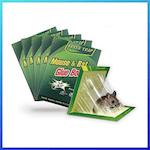 In this handy guide, we will teach you how to identify common mice, teach you the signs to watch for, show you the best mouse traps and tell you how to go about the elimination process. House mice are the most common household pests in the rodent world. House mice are active all year round, making your home or office prone to an infestation at any time. Identification: House mice are around 70 to 95mm in length, not including the tail, which measures about the same length as the body. Their head and feet are small, with large eyes and rounded ears that distinguish them from small brown rats. Their colors range from light to dark brown. Lifecycle: With 7-8 litters a year of 4-16 babies per litter, it’s no wonder house mice can become a difficult pest to eradicate. Most house mice live less than a year in the wild, however, they can live up to three years in rare cases. Habits: House mice prefer a diet of cereals and have the ability to consume 3 grams of food a day. They require very little water to survive, however they can consume up to 3ml a day when living off a very dry diet. Though house mice prefer burrowing and living close to the ground, they can climb as well. Deer mice are most commonly found in wooded areas. That doesn’t stop them from occasionally wandering into homes, however. Homes or sheds located in or around wooded areas are most prone to deer mouse infestations. In addition to carrying potential health risks, deer mice can be destructive to wooden structures. Identification: Deer mice measure around 80 to 100mm long, not including the tail. They have bi-colored long tails covered in short fur. They vary in color from pale gray to reddish brown on top with white fur on their bellies and feet. Lifecycle: Deer mice usually live around 2-14 months in the wild, though their lifespans can last up to 5-8 years in captivity. Female deer mice will have 2-4 litters per year with 3-5 young each. The female gestation period is 21-24 days. Habits: Deer mice are nocturnal and will, therefore, be most active at night. They are known for climbing and will often infest attics and upper floors, particularly during winter months when they seek shelter from the harsh conditions outside. Deer mice are known for carrying the deadly hantavirus, making it especially important to rid yourself of a deer mouse infestation as quickly as possible. The white-footed mouse can be found throughout most of the east coast of the United States all the way to Colorado, Montana, and Arizona. White-footed mice are most common near bushlands or in properties bordering forested or agricultural areas. Identification: White-footed mice are similar in appearance to deer mice. Adult white-footed mice measure 90-100mm without the tail, which can add another 60-90mm. They range in color from grayish to reddish brown with white undersides and white feet. Their tails are usually the same two colors as their body. Lifecycle: In warmer climates, white-footed mice can live up to 48 months, while in colder northern climates their life expectancy is between 12-24 months. Habits: White-footed mice are omnivores, their preferred diet consists of seeds and insects. They are timid and generally avoid humans, though they can occasionally be found on ground floors where they will build nests to store food. Like deer mice, white-footed mice can also be carriers of hantavirus. There are several things to keep an eye, ear, and nose out for in order to catch a mouse infestation early. Paying attention to these early warning signs can go a long way towards assuring any problems are caught in their tracks before needing to bring in help from the professionals. Mice are good at getting into the deepest darkest corners of your home and turning it into a nest for them to breed and make a nice home for themselves in. It is important to find where they are hiding if you are serious about getting rid of your mouse problem in your home. Inside of all rooms in the house: Mice move fast and could be hiding anywhere, so make sure no room gets left behind when searching for signs of a rodent infestation. Under counters and in closets: Mice love to hide dark corners such as under cabinets or in closets. Check for droppings and torn or shredded fabric. Inside kitchen cabinets and other storage areas: Cabinets and storage areas are often a mouse’s favorite hunting grounds for crumbs and nesting materials. Make sure to conduct a thorough search of all cabinets and storage spots. Behind & Under Appliances: Areas that are cleaned less often, such as underneath and behind appliances, are a good place to check for footprints and mouse droppings. These areas are usually hiding places for crumbs and bits of food, making them an optimal feeding ground for unwelcome furry guests. Attics and Garages: Attics and garages rarely kept as thoroughly clean as the rest of our homes. The clutter from storage boxes also creates ample hiding places for mice and other pests. Be sure to search diligently, checking behind and underneath anything you may have stored. Perimeter walks around the house: Cracks or holes around your house’s foundation are often responsible for giving rodents access to your home. Remember, mice can fit through cracks as small as ¼ inch, so be sure to do an intensive check around the perimeter of your home. Internal & External ductwork: Internal and external heating ducts are often used by rodents as a means of traveling through your home. Check to make sure there are no possible rodent entry points on your ductwork, inside and out. Exterior Doors: Be sure to check all external doors for possible entry points. Often, corroded or worn seals on your doors are to blame for furry guests making their way inside. Outdoor Air conditioning & Heating Units: Outdoor AC and heating units often leave openings for mice to enter your home. Utilizing steel or copper mesh to cover any gaps can be a good way to block entry while still allowing for proper airflow. Windows: Poorly sealed windows not only make your home less energy efficient when it comes to heating and cooling, but they also provide entry points for mice. Check your window seals thoroughly and re-seal as needed. No matter where you fall on the rodent loving or hating spectrum, it’s important to keep your home rodent free for several reasons. Though mice may look cute and innocent, these tiny creatures can wreak havoc on your home. Mice are known for chewing and gnawing, causing potential damage to the structure of your home, furniture, and even electric appliances. This damage to wires and electronics puts you at risk of electrical fires! In addition to damaging property, a rodent infestation can be detrimental to your health. They can contaminate food sources, spread bacteria through your home, and affect the indoor air quality in your house, increasing your chances of getting sick. Young children are especially prone to illness from a mouse infestation as kids often play around floors and frequently put their fingers in their mouths. Aside from general bacteria and dirt, mice are known for carrying a range of potentially deadly diseases. According to the CDC, there are a number of diseases spread by mice and getting rid of them inside your home will make for a more sanitary and safe environment for your family. Below are some of the most common diseases that can be spread. Hantavirus is probably the most well-known of the diseases mice can carry into your home. Particles from urine and feces left in your home from mice carrying Hantavirus can enter your airways, putting you at risk of contracting this disease of the respiratory and neurological systems. When cleaning any area thought to have been visited by mice, it’s important to use a mask and gloves to avoid a potential infection and to wash your hands thoroughly afterwards. On rare occasions, Hantavirus can also be spread by direct contact or bites from an infected mouse. This infectious disease can affect you or your pets. Leptospirosis is caused by bacteria in drinking water. It is spread when traces of urine from infected animals, such as mice, enter a water supply. Don’t drink any water that has been left sitting out if you fear a mouse infestation in your home and remove pet water bowls in the night. Also be sure to clean your pet’s bowls frequently. Salmonellosis is a bacteria transmitted through mouse droppings. While Salmonellosis can affect anyone, children under 5 are especially at risk. Be sure to thoroughly clean any area your children might play and check for signs of mice frequently. These frightening diseases are spread by fleas and mites who live on mice. Avoid direct contact with mice or their droppings to avoid infection. Obviously, the best way to eliminate mice from your home is to keep them from getting inside in the first place. However, even with the most thorough mouse-proofing regiment in place, it can be possible for a critter or two to slip by. With the quick-breeding habits of mice, one or two can quickly multiply, leaving you will a full-blown infestation on your hands. Now that you’re faced with an infestation, you have some decisions to make. The first question you’ll have to ask yourself is whether to kill or capture and release. There are usually fairly strong opinions on this subject, and it’s important to do your research to select the best method of pest control for your situation. When deciding on how you want to tackle the job of getting rid of mice from your home, you have a decision to make. There is not a right or wrong answer, it’s a matter of personal preference. Do you want to kill or capture and release the mice? The type of mouse trap you buy depends on your preference. Here is a breakdown to help you reach a decision. Kill Traps: Generally consist of snap, glue and electric traps that are considered highly effective at luring mice in but can cause the mouse to suffer sometimes when using snap or glue traps. The snap traps will usually kill very quickly but glue traps, leave the mice to die slowly. Snap and glue mouse traps are the cheapest options you can buy but an electric mouse trap is a highly effective tool to consider when the job requires the best money can buy and will kill a mouse the fastest without suffering. Catch & Release Traps: These mouse traps will generally not harm the mice and will definitely not kill them, unless you don’t release the mouse and they starve to death. They can be used multiple times, making them more economical in the long run. But you must handle the live mice and if they are released to close to home the mouse may return. Often these traps are more expensive initially than simple snap or glue traps. Even if you decide to go the kill route, it’s important to limit unnecessary suffering and choose a method that provides a quick and relatively painless death. We’ve gone into more detail about the various styles of traps available on the market so you can make an informed decision for eliminating mice in your home. Snap traps are the oldest and most well-known mousetraps on the market. They come in a variety of forms, such as the classic wooden disposable snap traps. However, the more modern and reusable plastic traps are considered far superior. You place a small dab of peanut butter or other selected bait in a small cup on the trap. Then, you pull the metal lever back 90 degrees (or 180 degrees for the wooden traps). In most traps you will see the dead mouse, which some may find unpleasant. Electric traps are a modern addition to the world of pest control. Most electrical mouse traps require standard batteries and come in single-use disposable and reusable varieties, with the reusable kind priced accordingly. The best part about electrical traps is they ensure the job gets done quickly + humanely and they kill the mice without any blood or other messes. And the mouse will not squeal when killed and will spare you from having to hear that happen! Our #1 recommendation below, the “Victor M2 Smart-Kill Wi-Fi Electronic Mouse Trap” even has WiFi connectivity and an app you can download on your iOS or Android device to receive alerts when you have captured a mouse! Now that’s cool! Electrical traps work by luring the mouse inside with bait. Once inside, a lethal electric shock is emitted, killing the mouse in seconds. Don’t worry, safety precautions are in place to keep the electric current from harming humans or pets. Easy to set, no pressure sensitive triggers required! If ease of use it what you’re after, it doesn’t get any easier than glue traps. With no mechanical or moving parts to worry about, all you need to do is place the bait and walk away. Glue traps aren’t without controversy, however, as often it is difficult to remove the mouse from the glue and the glue itself doesn’t kill them, leaving you with a trapped live mouse with no way to release it. This could potentially lead to death by starvation, making this the least humane option. Glue traps are usually made from a board of plastic or cardboard covered in a sticky adhesive. You place your bait on the trap and wait for the mouse to get stuck while going for the bait. For the most humane option for freeing your home of a rodent infestation, catch and release traps are the best option available. Instead of killing the mouse, a catch and release trap will lock the mouse inside a chamber, you are then able to release the mouse back into the wild. It’s important to mention that when releasing the mouse, make sure to do it as far away from your home as possible. This assures the mouse won’t find its way back to your home, causing you to need to trap it all over again. There are many types of catch and release traps on the market, with the main two styles being metal cages and plastic tubes. You will bait the trap like you would any other, then set the trap so the door is open. Once the mouse enters, a trigger will snap the door shut behind it, leaving the mouse trapped. They need to be monitored frequently. It’s best to release the mice back into the wild as soon after catching them as possible. In addition to the above-mentioned traps, rat and mouse poison is another option you may see on the market. However, we strongly advise against taking this route. In addition to killing rodents, rat and mouse poison is highly toxic to other animals, potentially harming other wildlife. Rat and mouse poison is also deadly to pets, and should never be left in an area where your furry family members might be exposed to it. In addition to potentially harming other animals, rat poison could be potentially life-threatening to humans, especially young toddlers and children who are prone to putting small objects in their mouths. Another reason to avoid poison is the fact that it doesn’t always work quickly. A sick mouse or rat may look for safety back in its nest or in your walls, eventually dying and beginning to decompose in an area you may not be able to reach. Not only is this unsanitary, but a dead rodent in your walls can also cause an almost unlivable stench in your home. There are several common mistakes people make when attempting to eliminate a rodent problem on their own. We’ve put together a list of the top tips for successfully eradicating mice from your home. While many of us envision lumps of cheese as the preferred snack of mice everywhere, this is actually a common misconception. While a hungry mouse may still go for a bit of cheese lying on the ground, you’re much more likely to catch a mouse with nuts or seeds. A small amount of peanut or other nut butter will usually work wonders. Interestingly, in colder months you can also lure mice using pieces of string, cotton, yarn, or even dental floss. Mice love using items like this to build their winter nests. When it comes to choosing the right amount of bait, don’t use a heavy hand. If you use too much, a mouse may be able to steal some without being caught in the trap. Using a small, pea-sized amount of bait will assure the house needs to get in close, giving the trap a higher likelihood of success. Mice are shy and cautious creatures who tend to avoid contact with humans when possible. They have keen noses and may be deterred from your traps if they can smell you on them. For this reason, wearing vinyl or latex gloves when setting your traps in order to keep your scent off them is always a good idea. Be sure to also wear gloves when collecting used traps to keep yourself safe from any potential diseases the mice may be carrying. Even though you may not see them, chances are your mouse problem is bigger than you think. Mice reproduce quickly, and the faster to catch them all the better your chances. One or two mice left standing can quickly multiply, leaving you to start all over from the beginning. Place mouse traps at least every 2 to 3 feet along any wall where you suspect activity. If there is an area in your home that seems to have extra rodent traffic, you can place traps as close as an inch or two apart to assure effectiveness. Mice have a tendency to avoid wide, open spaces. They prefer dark corners or scurrying along walls when traveling from place to place. Place your traps along walls with the bait and trigger end facing the wall, this forces them to explore the trap instead of going around it. Dark areas such as the backs of cabinets, closets, or underneath the stove can also be effective. Whether you’ve chosen kill traps or the more humane catch and release traps, it’s imperative to check them often. Forgotten traps of any kind can lead to a quite unpleasant surprise down the road. It is also most common for the first night of traps being set out to be the most active, so expect to do a lot of cleaning and re-setting the following morning. Pro Tip: Keep setting and checking mouse traps until you haven’t caught a mouse for a week. After you have caught a fair amount of mice in the first few days and it’s been a few days without a mouse being caught or any sightings, don’t celebrate just yet. It may be tempting at this point to put the traps away and give yourself a pat on the back for a job well done, its best to err on the side of caution. Keep your traps out and set until you’ve gone a full week or more without a catch in order to assure every last critter has been successfully eliminated or relocated. Once you feel like you’ve successfully eradicated your rodent problem, it’s important to keep them away. Areas where you had the most success trapping mice were probably appealing to those mice for a reason. It’s important to put extra care into cleaning and sanitizing these areas to prevent a re-infestation. Now that your home is rodent-free, it’s important to assure it stays that way. In addition to proper cleaning habits and taking measures to block any means of entry into your home, continue to keep an eye and ear out for rodent activity. Remember that the faster you discover a problem the easier it is to deal with. Mice are quite resourceful when it comes to finding their ways into the warm comfort of your home. A small mouse can squeeze through the tiniest of openings, as small as ¼ of an inch in diameter! In addition to a mouse’s ability to fit through unlikely small spaces, they are also prone to gnaw and chew their way into homes. Drywall, wood, shingles, and siding are all potential weak points for gnawing. Mice are also ample climbers and may enter your home through weak spots on the roof. To prevent a re-infestation, it’s important to inspect and mouse-proof any common entry points. Any gaps, holes or openings around the foundation – Rubble foundations and stacked stone foundations are particularly susceptible to cracks and gaps big enough more mice to squeeze through. Check thoroughly and fill any cracks you find with silicone caulk. Any gaps, holes or openings in or around windows – Seals around windows wear out over time, make sure to check your window seals and repair any openings you may find. Also, check that your windows are free of other openings or holes big enough for mice to enter. Any gaps, holes or openings around the roof – Search for any holes or openings around the roof, sealing any potential threats with steel wool or silicone caulk. Any gaps, holes or openings between the floor and doors – Small gaps underneath doors can be likely culprits for fuzzy invaders. Installing a rodent resistant door sweep and checking that all weather stripping is in good condition can help deter them. Any gaps, holes or openings between any walls and/or ceilings – Check for cracks and openings between walls and ceilings and seal them with plaster or silicone caulk. Any gaps, holes or openings in closets and/or cabinets – Gaps, holes, and openings in closets or cabinets make great hiding and nesting spots for rodents. Check and seal any holes you can find to assure that mice can’t access them. Unsealed drainage pipes – Mice can easily climb up drainage pipes and into your home. To prevent this, use hard wire cloth or copper mesh to cover any openings, preventing mice from entering while still allowing for proper drainage. Sinks and/or bathtub drains – While less common, it is possible for mice to enter your home through sink and bathroom drains. Keeping your drains covered when not in use can help, however, if you suspect this is becoming a serious problem, devices such as “The Rat Blocker” can be installed in drains. Basements – Our basements are often cluttered and neglected, making them ideal areas for mice. Check and seal any cracks in your basement and make sure to keep the area clean and clutter-free. Garages – Garages provide ample hiding places for unwanted guests. First and foremost, check your garage door and make sure there are no cracks between the bottom of the door and the pavement. If a gap is present, you may be in need of a rodent guard. Next, make sure your garage is kept tidy, clear of clutter and possible nesting material. Attics – Like the basement and garage, attics are also a favorite hide-out for mice. Make sure to inspect your attic well for signs for potential weak points, sealing where necessary. It also helps to keep boxes tidy and off the floor. Steel/Copper Wool – One easy method to plug holes or cracks where mice may be entering your home is with steel wool or copper mesh. Just stuff them into any holes or cracks that need sealing, make sure to get them in there as tightly as possible. Copper won’t rust over time like steel wool will, making it better suited for long-term use. For extra security, you can use a caulking compound to secure your steel or copper mesh in place. Aluminum Foil – Mice tend to steer away from the crinkling of aluminum foil. Though it may not be practical to cover your entire house in foil, placing sheets in strategic places or near potential entry points can be a good deterrent. Expanding Foam – For a more long-term solution, expanding foam is a great option. It’s not only easy to use but can seal even the tiniest of holes. Remember, mice can squeeze through cracks as small as ¼ inch. For larger holes, stuff with steel wool first to create a base for the foam. Just spray the foam into the area you want to cover and manipulate it with a dull knife to adjust its shape or remove any excess. Dryer Sheets – Dryer sheets are another cheap and handy option for stuffing into small cracks or holes. In addition to blocking the way, mice hate the smell of dryer sheets, making them less likely to try to remove them from blocking their way. Your first line of defense when it comes to keeping mice away is to always keep a clean and sanitized home. It isn’t always easy to keep the house spotless, our busy lives often get in the way and we leave minor messes to deal with later. However, those little messes tend to grow and mice thrive in a dirty environment. Getting in the healthy habit of cleaning as you go will go a long way towards keeping your home rodent free. First, make sure to always clean crumbs and food bits from countertops, tables, and floors. Mice can survive on very small amounts of food and water, and those little morsels might be just enough to keep them coming back for more. Next, be sure to keep your house clutter-free. Piles of old newspapers, magazines, and junk mail are all tempting nesting materials for rodents. Eliminating old paper clutter will help discourage unwelcome pests. Last but not least, be sure to keep your garbage can secure. It’s best to get a garbage can with a tight fitting lid and store it off the floor where it’s more difficult for mice to access it. Eliminating the feeding grounds in your kitchen will go a long way to making your house a far less tempting residence for furry pests. Mice have strong teeth and can chew through plastic bags, wrappers, foil, and cardboard. They also have excellent noses that can search out available food sources. Taking measures to assure your food is kept in mouse-proof packaging will help keep your home free of infestation. Pet foods are considered a delectable delicacy in the rodent world. Since most pet foods come in paper or plastic bags, they are also easy pickings for furry guests. Transferring dog and cat food into heavy plastic Tupperware containers can prevent the critters for accessing this tasty treat. Make sure to keep the lids tightly sealed as well, as rodents can easily squeeze through the smallest of openings, especially where food is concerned. In addition to pet foods, mice are also drawn to dry foods such as flour, seeds, sugar, and cereal. Keep your dry goods in tightly sealed heavy plastic, metal, or glass containers and high shelves. As an added bonus, this will also keep your food fresher longer. If you’re prone to buying food in bulk and storing items in the garage or pantry, be sure to mouse-proof your back-ups as well. Large plastic bins with tight-fitting lids are great for storing bulk items safely. Dogs may be man’s best friend, but when it comes to keeping rodents away there is no better companion for your home than a cat. Cats are mice’s natural predators. Our feline friends love hunting and chasing mice, it provides good exercise and keeps our kitties spry and nimble. Not only are cats great for hunting mice, but it has also been shown that having the scent of a cat around your property is a natural deterrent for mice. When choosing to bring a cat into the family, however, it’s important to think of your feline companion as just that, a part of the family! Cats can be wonderful pets and are fairly independent, making them easier to care for than dogs. However, that doesn’t mean they don’t require care and responsibility. Make sure you’re willing to put the time into properly caring for your new fur baby before bringing one into your home. Certain essential oils can be a great natural deterrent to mice. Mice have a keen sense of smell, and some natural scents that we find pleasant are completely overwhelming to them. While essential oils on their own may not be enough to keep the furry beasts at bay, combined with a properly cleaned house and properly stored food, they might be just the extra push needed to keep your home rodent free. The best essential oils to deter rodents are clove and peppermint. All you need to do is apply a few drops of oil to cotton balls and place them around your home in areas that might be prone to attracting mice, such as closets, cabinets, attics, and garages. Wrapping whole cloves in some fabric and placing it in closets or drawers can also help. While not nearly as pleasant to the senses as essential oils, mothballs can also keep unwelcome rodents away. Though mothballs were created to kill moths and moth larva, they have long been a popular choice for fight mouse infestations as well. The fumes from moth balls are irritating to mice and rats, keeping them from entering areas with mothballs present. It is important to mention if choosing to use mothballs, they are toxic! So be sure to keep them out of reach of pets and children. Mothballs also need to be replaced every 4 to 6 months so that they don’t lose their effectiveness. Whether you love or hate spicy food, keeping some cayenne pepper around can come in handy. Rodents are particularly sensitive to capsicum, the element in hot peppers that gives them their burn. Spraying cayenne pepper spray around potential entry points for mice can be an effective method of repelling rodents. To make the spray, mix a healthy portion of cayenne or other hot pepper (such as chilli flakes or habanero) in hot water. Allow the mixture to steep for 24 hours and then strain through cheesecloth and pour into a spray bottle. Be careful and use gloves when making and handling the pepper spray, accidentally getting hot pepper on your hands and then touching your eyes is a recipe for serious tears! Now that we’ve covered cleanliness, proper storage, and scents that repel rodents, there is another keen sense that mice have that we can use to our advantage to keep the house pest free. Mice have sensitive ears and have the ability to hear high-frequencies that are undetectable to the human ear. A variety of ultrasonic pest control devices are available on the market. They are extremely easy to use and provide an extra level of protection from rodents and other household pests. Simply plug the device into an available outlet in any room you feel is extra prone to attracting mice. It should be noted, however, that cats and dogs can also hear high-frequencies and might be bothered by ultrasonic pest control devices. Therefore, these devices are best for use in homes without pets. Even if you’re an avid do-it-yourselfer, it’s important to know when to throw in the towel and seek professional help. Sometimes even the most diligent cleaning and removal strategies just aren’t enough to fully eliminate a rodent problem. If you’re still faced with a mouse problem even after practicing all the above tips and tricks, it may be time to let a professional work their magic. Professional exterminators are armed with special knowledge and equipment suited for seeking out and eradicating even the most stubborn mice. Cost can be a major concern when considering hiring professional help. 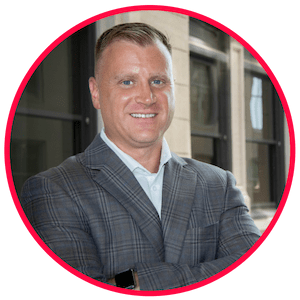 There are several factors that need to be taken into account when determining the cost of a professional exterminator. No two situations are alike and several things are taken into consideration when your local professional extermination company provides you with a quote. Size of your home: The first factor considered when calculating cost is the size of your home. The larger the space, the more nooks and crannies there are for mice to hide and exterminators to check and seal. A large house will take significantly more time, resulting in a higher bill. Amount of entry points that need to be sealed: The next factor to consider is the number of entry points needing to be sealed. The larger the number of entry points, the longer it will take, adding to the labor In addition to time, you must factor in the cost of materials used to seal cracks and holes. Repairing any damage: In addition to preventative measures like sealing cracks, you must consider how much repair works needs to be done on areas of the house damaged by mice. This could include repairs to wooden areas, drywall, and electrical equipment, which are all areas mice like to gnaw. Amount of mice: The number of mice living in your home must also be factored into expenses. Your exterminator may use any number of methods for capturing mice, including traps or bait stations. The more mice, the more equipment required, hence a higher expense. Number of follow up visits: Even if you’re convinced one visit did the trick, most companies recommend some follow-up visits in order to make sure nothing was missed. How many follow-up visits are required will vary from one situation to another. Usually, companies will offer weekly, monthly, or quarterly options. As resourceful as mice can be, when armed with the right knowledge you can easily gain the upper hand. Understanding how mice enter the home, their favorite hiding places, and their feeding and breeding habits are the first steps to preparing yourself to handle any unwelcome rodent situation. Just remember, the most important step is to not delay, taking measures at the first sign of a fuzzy visitor. The less time you give mice to multiply, the easier your path to a rodent-free home will be! Do you have a mice problem or did you solve one? Tell us about your experience or drop any questions you may have for us in the comments below!